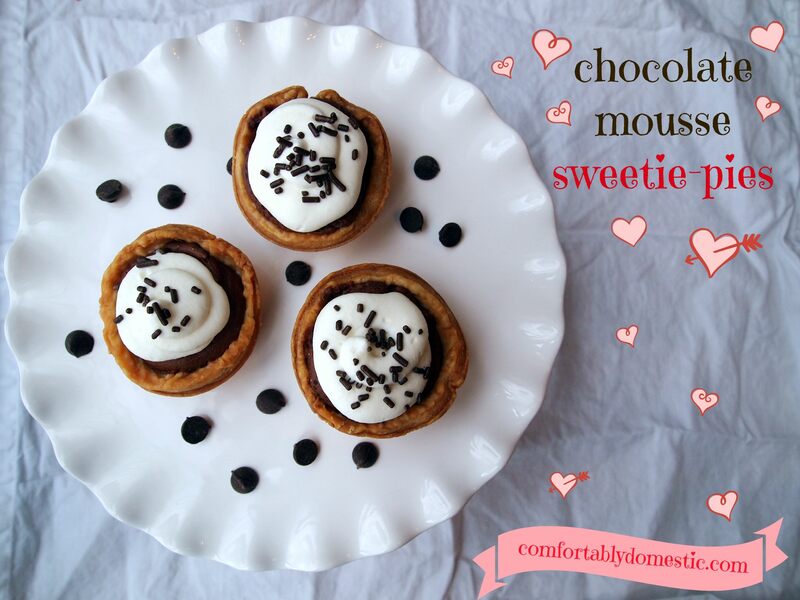 Chocolate mousse is the star of the show in these adorable and delicious chocolate mousse sweetie pies. The perfect Valentine’s Day dessert! And offered to bake her a pie everyday for the rest of her life. Chocolate mousse pie with whipped cream and lots of sprinkles. Carlie’s my kind of girl. Since we both happened to have a banquet to attend, for which I was slated to bring a dessert (go figure), I knew that I had to bring some sort of chocolate pie for Carlie. Seeing as she was already so sweet that it practically made my teeth hurt, I wanted to do right by her and not take the lazy way out. My only real dilemma was that a standard pie only serves 8 people, and I had to bring enough dessert for twenty-five. As I wasn’t in the mood to bake 3.125 pies, I did the next best thing, making mini pies! 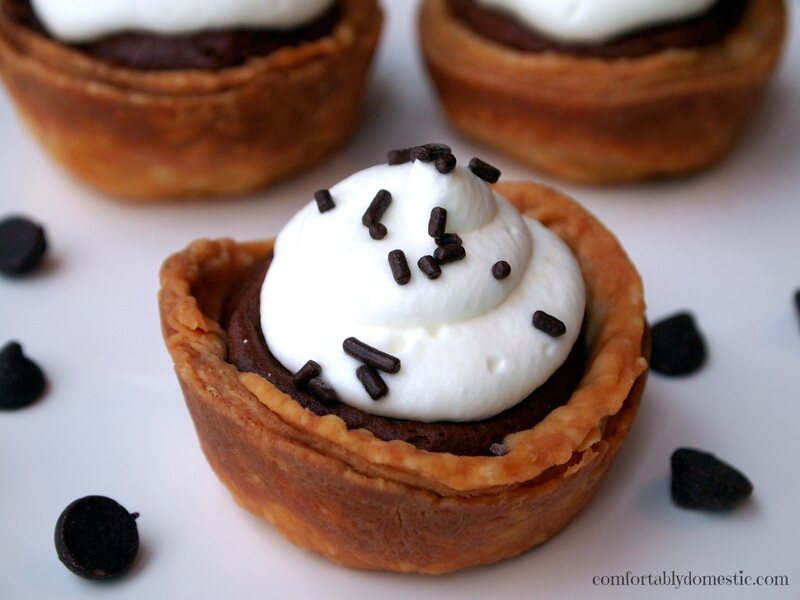 Mini chocolate mousse pies are so sweet and undeniably rich that the smaller size is perfect to share a few bites of dessert with your favorite Sweetie Pie. Chocolate mousse pies come together pretty easily with only a couple of disks of homemade pie dough, chocolate chips, heavy whipping cream, powdered sugar, and sprinkles. Spray 18 to 20 wells of a cupcake pan with baking spray. 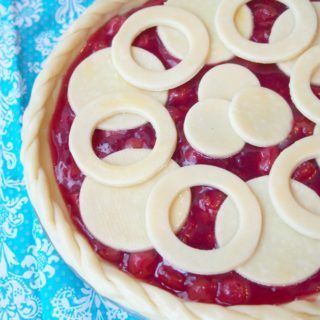 Roll the pie dough to 1/4-inch thickness, and cut out circles with a 4-inch biscuit cutter. 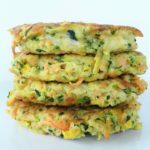 No biscuit cutter? No problem. 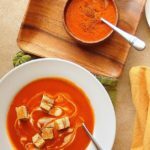 Use a clean and empty soup can of the same circumference. Nestle the dough into the prepared cupcake wells to ensure that it hugs all sides of the well with no gaps. Gently press the dough upward to fill the entire well before pricking the bottoms of the pastry with a fork. Freeze the dough lined cupcake pan for at least two hours. Do ahead tip: this step can be done one day ahead, and frozen overnight. 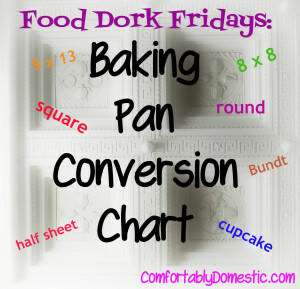 Once pastry has been sufficiently frozen, preheat the oven to 375°F. 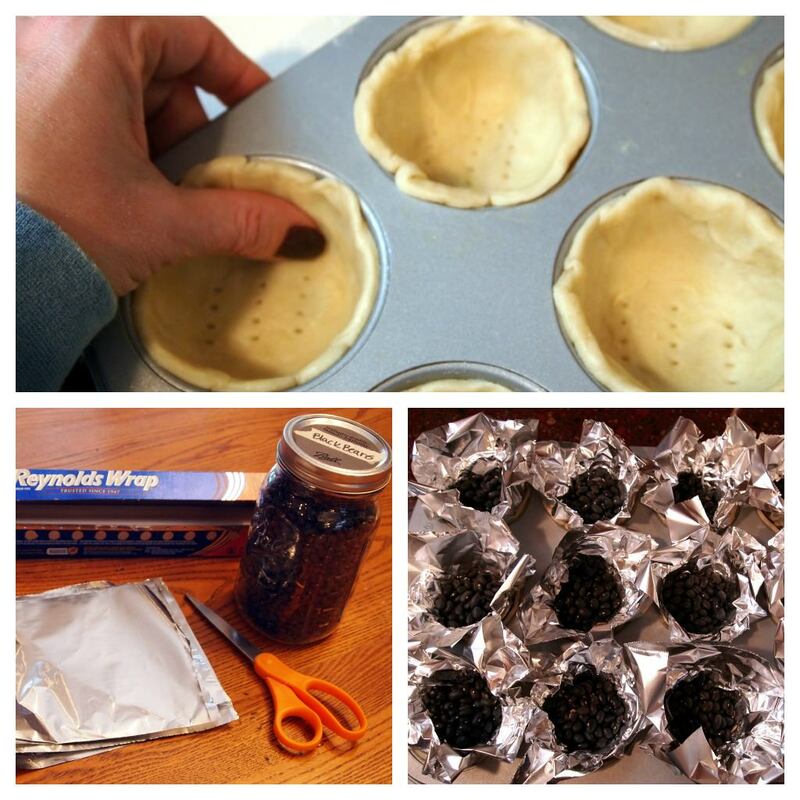 Cut one 4-inch square of aluminum foil for each pastry-lined cup. 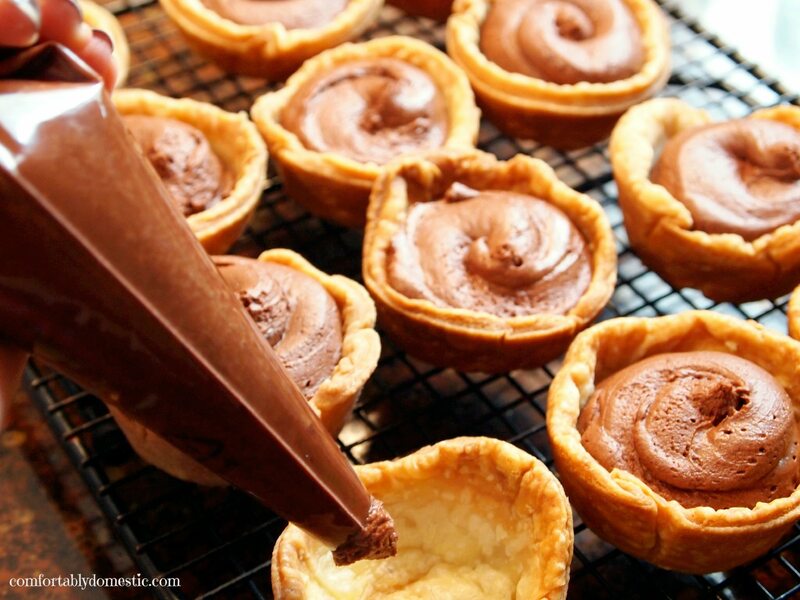 Remove the pan from the freezer and line each pastry shell with foil. Sprinkle a couple of tablespoons of dried beans into the foil to weigh down and help prevent the pastry for expanding too much in the oven. Bake pastry for 20 minutes, remove the foil/beans and continue to bake for an additional 10 minutes, or until shells are golden brown. Let the pie shells rest in the pans until completely cool. Please Note: the chocolate mousse pie recipe easily adapts to two 9-inch pies. Just line two glass pie plates with dough, freeze them overnight, and proceed with the blind baking, extending the bake time by around 20 minutes–10 minutes with the beans/foil, and 10 minutes after removing them to brown the interiors of the pie shells. 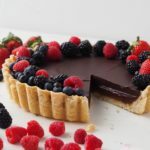 Once the pie shells have cooled, make a chocolate ganache by heating the chocolate chips with ¾ cup of the heavy whipping cream in 30 second bursts in the microwave at 50% power (or over a double boiler). Whisk in between bursts until chocolate is melted, cream is incorporated, and mixture is smooth and glossy; cool to room temperature. Whip the remaining cream with a little powdered sugar until soft peaks form. Gently fold 2 cups of the freshly whipped cream into the ganache to combine. Spoon the chocolate mousse into a 16-inch piping bag or gallon zip top bag, lightly pressing any visible air pockets to let air escape. Snip off a corner, and squeeze the mousse into the pie shells. Top with a dollop of remaining whipped cream and sprinkles before serving. 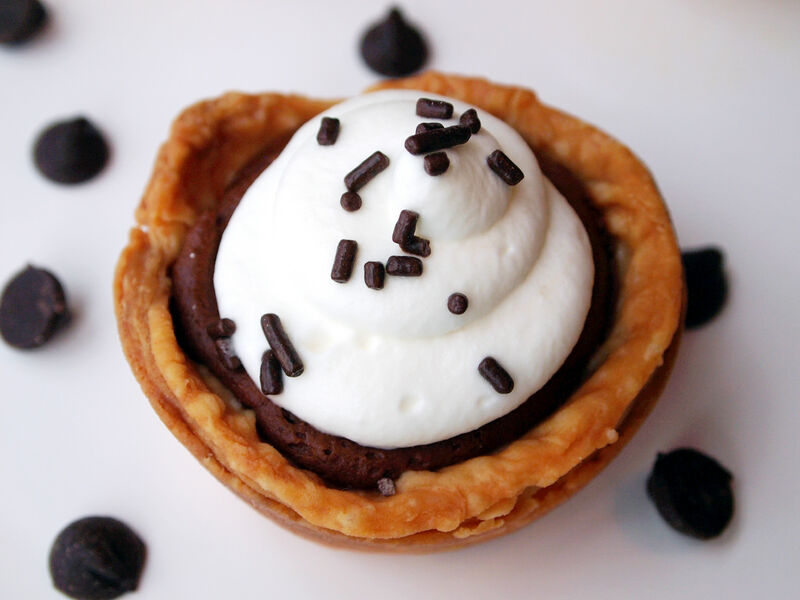 Give a few Chocolate Mousse Sweetie Pies to a cute-little, chocolate-pie-loving girl and watch her smile light up the room. 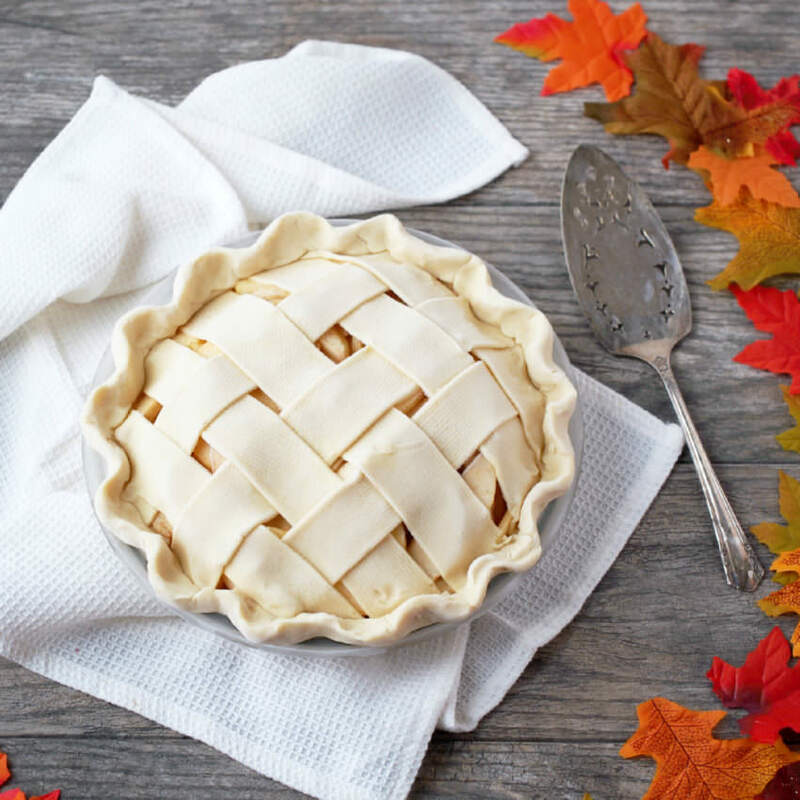 Mini pies are best enjoyed immediately, however leftovers may be stored in an airtight container in the refrigerator for up to three days. Spray eighteen cups of a cupcake pan with baking spray. Cut eighteen 4-inch squares of aluminum foil; set aside. 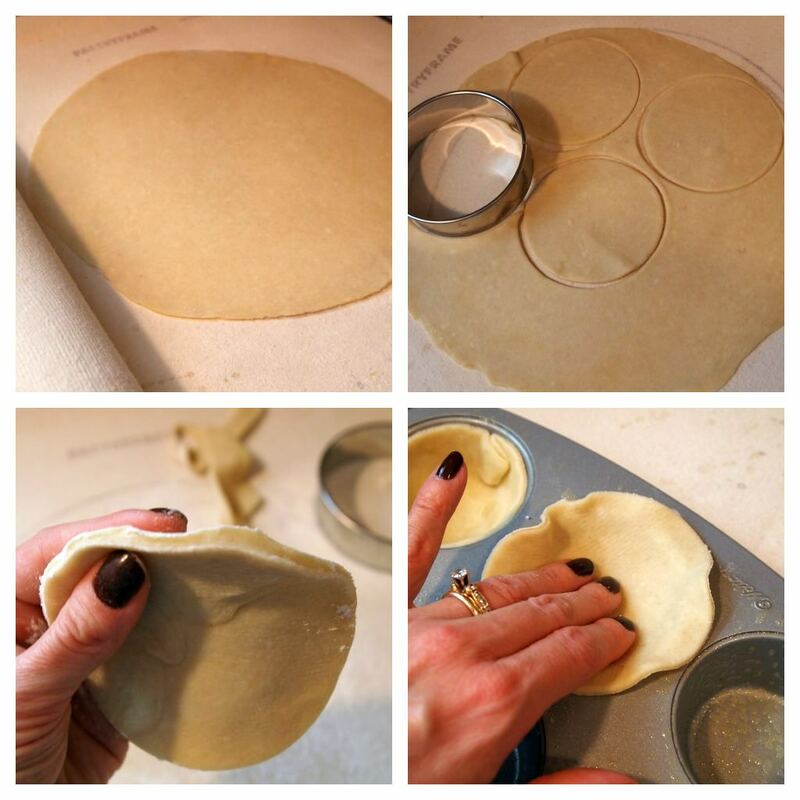 Roll one disk of the pie dough to ¼-inch thickness. Use a 4-inch round cookie or biscuit cutter to cut nine circles from the dough, re-rolling scraps as necessary. Repeat with the other disk of pie dough until 18 circles have been made. Nestle each 4-inch circle into one of the prepared cupcake wells, gently pressing the dough against all sides of the well without any gaps. Prick the bottoms of the pastry shells two or three with a fork. 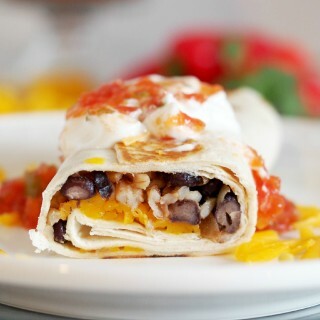 Freeze shells for 2 hours prior to baking. Once the pastry is thoroughly frozen, gently line each of the pastry shells with aluminum foil and fill the bottom ¼-inch with dried beans (about 2 Tbs. each.) The beans will act as pie weights and keep the pastry from puffing too much while baking. Bake pastry for 20 minutes, remove the foil/beans and continue to bake for an additional 10 minutes, or until shells are golden brown. 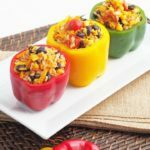 If the bottoms of the shells puff up too high, gently depress the air bubbles with the back of a small spoon immediately upon removing them from the oven. Allow the shells to cool completely while preparing the filling. Place the chocolate chips and ¾ cup of the heavy whipping cream into a medium-sized microwave safe bowl. 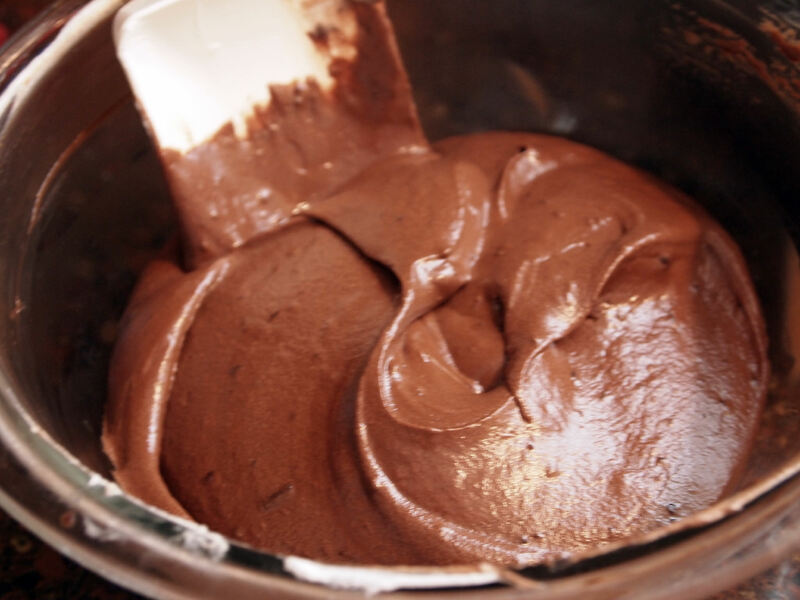 Heat the chips and cream in repeated 30 second increments on half power, whisking well in between, until the cream has been fully incorporated into the melted chocolate. The mixture should be smooth and glossy. Let cool to room temperature. 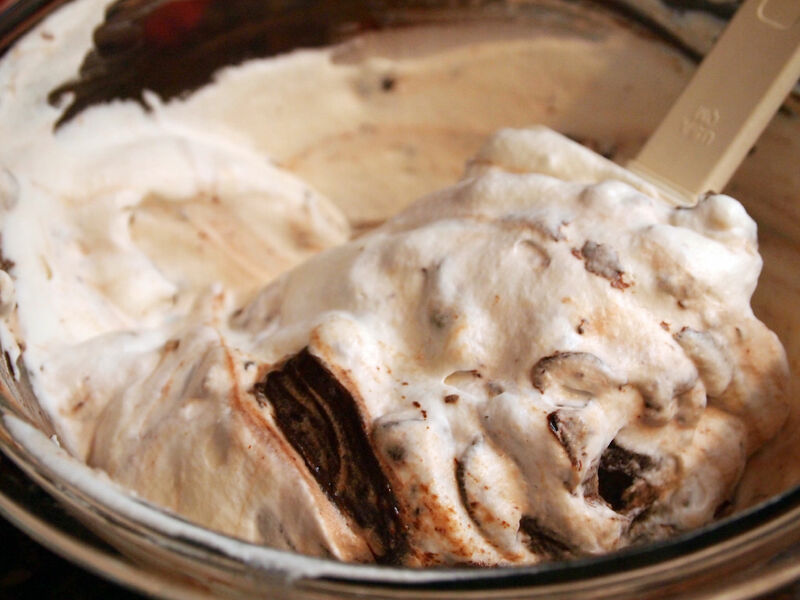 As the chocolate cools, whip the remaining 1 ¼ cup of cream with the powdered sugar and vanilla until soft peaks form. 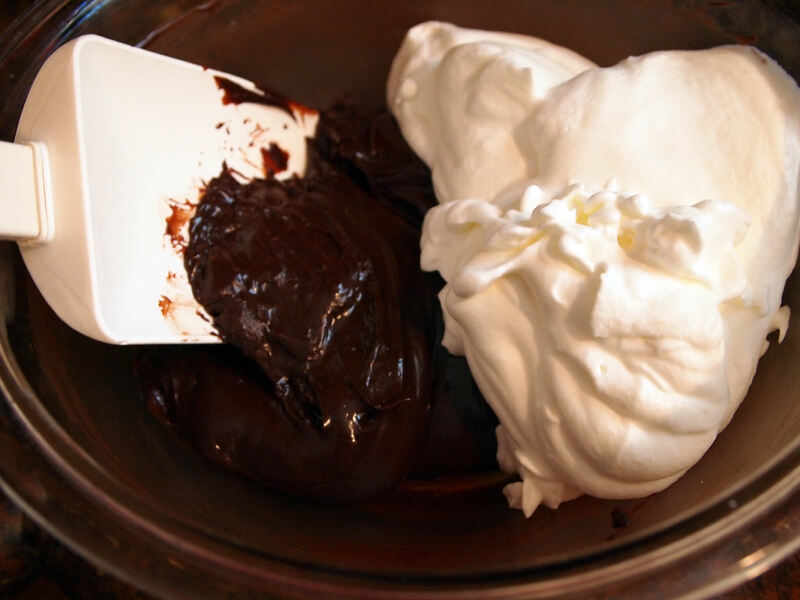 Fold 2 cups of the whipped cream into the cooled chocolate mixture until combined; reserve the remaining whipped cream. Transfer the mousse to a large piping bag or zip top bag. Snip off the bottom corner off the bag with scissors, and then gently squeeze the mouse into the cooled pie shells. Top with the remaining whipped cream and sprinkles. 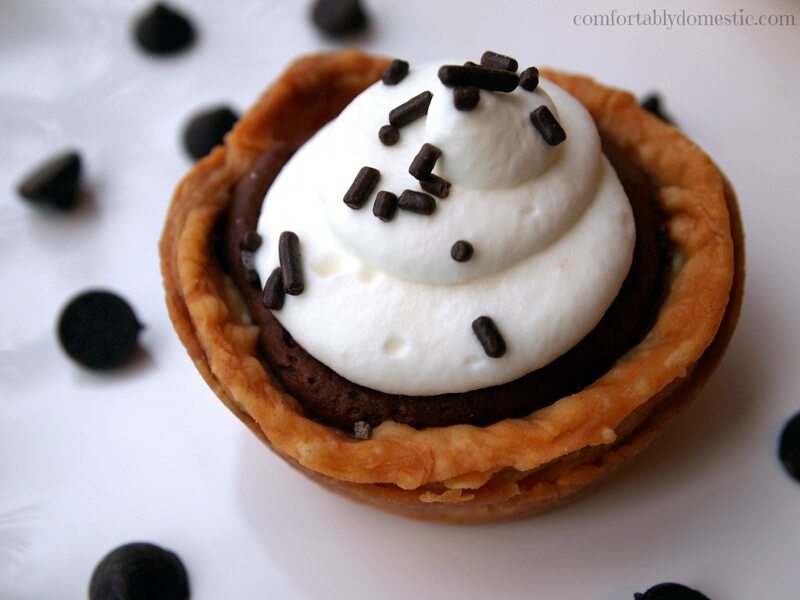 Mini pies are best enjoyed immediately; leftovers may be stored in an airtight container in the refrigerator for up to three days. 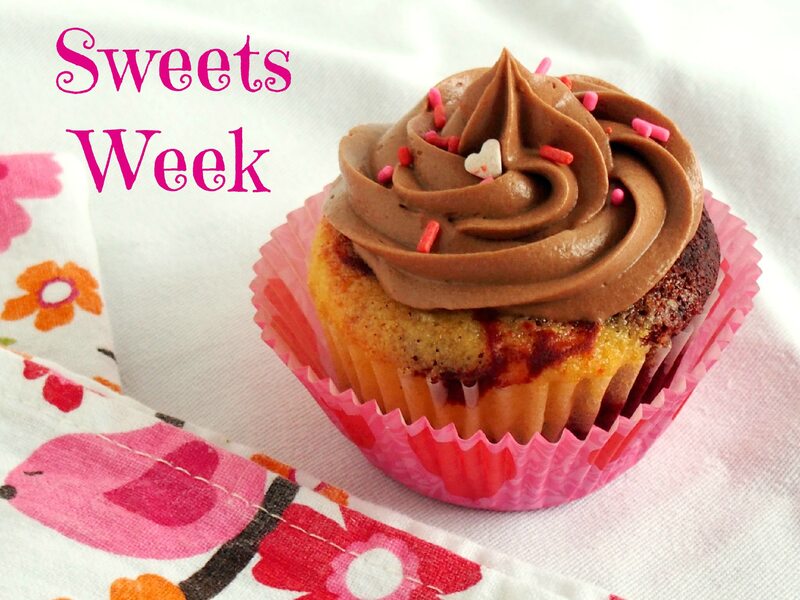 Just a reminder that Sweets Week continues! Kat whipped up a slew of S’mores on a Stick on-the-fly for her Toothpick Potluck at the office yesterday. 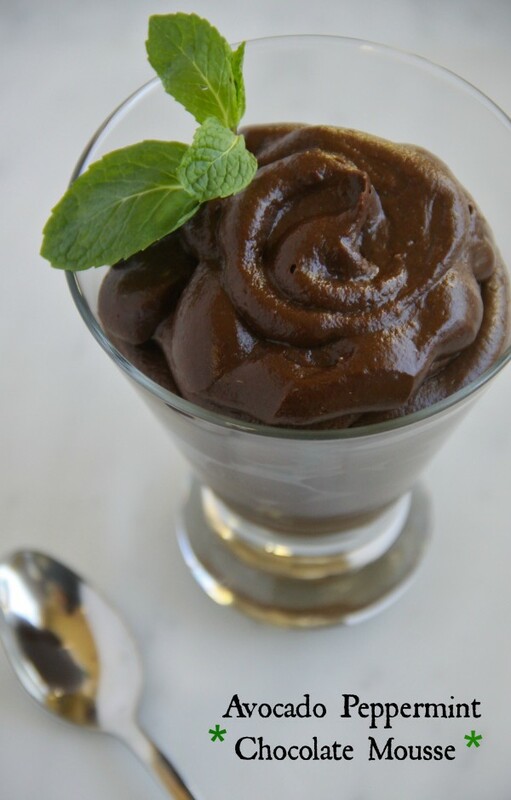 The lovely Lauren and I were on similar wave-lengths because she made an Avocado Peppermint Chocolate Mousse! It sounds both awesome and weird at the same time, so naturally it should go to the top of the Must Try list. 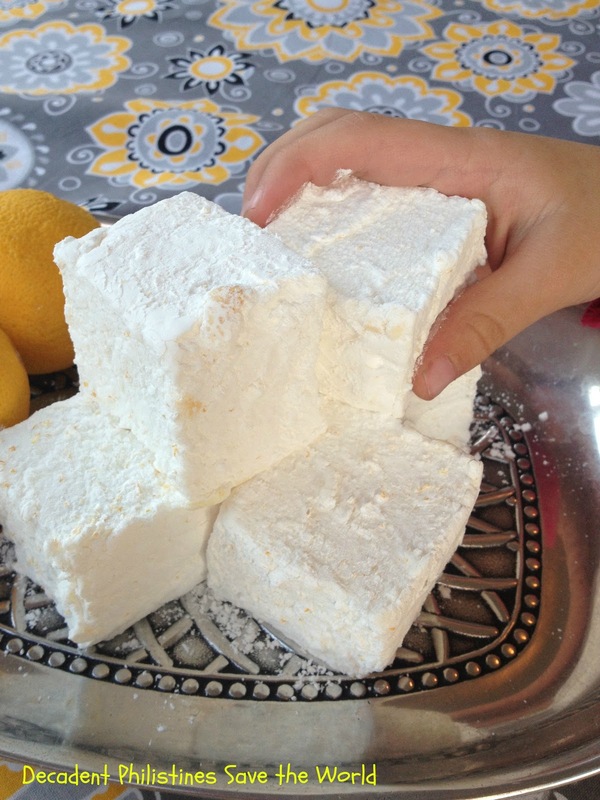 Today, Allison joins in the Sweets Week festivities with her Pucker Up Lemon Marshmallows. Wow. Just wow. Allison slightly adapted the sheer brilliance of my pal Jenni/Pastry Chef Online. FYI…Jenni ROCKS! If you think you’re not a marshmallow fan, then you really need to try making them at home–because store bought marshmallows are not even the same species as homemade. As you can see, HRH couldn’t wait for her mama to finish photographing these lemony marshmallows before sampling one. ‘Atta girl! Tomorrow, Anne/From My Sweet Heart wraps up Sweets Week with her Berry Smoothie Ice Cream Pie & a Giveaway! 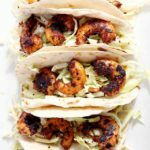 Oh those look marvelous, just perfect - yet do-able! Kirsten & Carlie sittin' in a tree.. P-I-E-E-ING. I think you're a sucker for cute little girls, and I think Carlie is a sucker for pie. You two are a match made in sweets heaven. After seeing all the photos, I can see why Carlie likes you. Everyone loves a Pie Lady. Oh, you know that I am powerless against any little girl that bats her eyelashes in my direction. But Carlie? That girl is more fun than a barrel of monkeys! I accidentally had this on my screen when my little Luke sat down next to me. 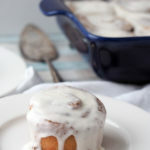 Now he will not shut up until I PROMISE to make these this weekend. :) Twist my arm--they look great! aloha, and thanks for another delicious treat idea. I love chocolate pie. The pictures look good. Thanks, Necole! These pies are super rich, but totally worth it. Oh my days I am going to have to unsubscribe your blog soon, you write so beautifully that I immediately become inspired to make whatever sweet treat you have magicked-up! These look adorable and you make everything look so simple. I have a saving grace - my colleague has given up chocolate for lent so I can't possibly make these until Easter! Phew!